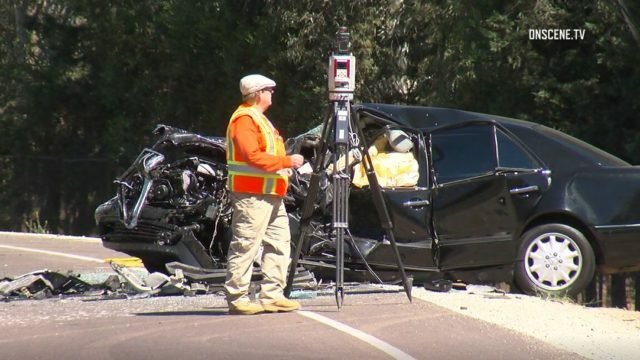 A 27-year-old Escondido woman is in custody on suspicion of driving while high on drugs when she caused a head-on crash that killed an 83-year-old man and his 81-year-old passenger Tuesday in rural North County. The fatal collision occurred about 1:10 p.m. in the 28000 block of Lilac Road in Valley Center when the woman’s 2007 Ford Explorer Sport Trac crossed into oncoming traffic, California Highway Patrol officer Chris Parent said. Witnesses told law enforcement the Explorer collided head-on with a Mercedes- Benz E300. The names of the victims were not immediately available, but Parent said the Mercedes’ driver was an 83-year-old Valley Center man and his passenger was an 81-year-old Oceanside woman. Both were pronounced dead at the scene. The driver of the Explorer was flown to Palomar Medical Center with major injuries and arrested on suspicion of driving under the influence of drugs, Parent said. Her name was not immediately released. Lilac Road between Old Castle and Valley Center roads remained closed for about five hours after the crash due to pool cleaning chemicals that spilled from the Explorer, the CHP officer said. The crash remains under investigation.